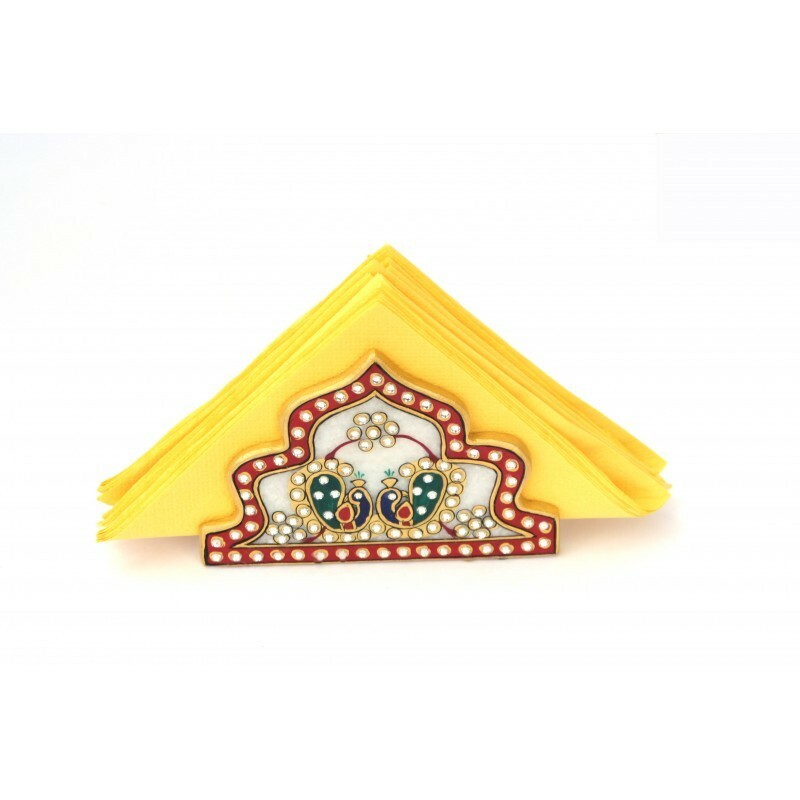 This magnificent hand made marble pen stand adorned with beautiful minakari work in the bright colors of gold, green and red on a pearl white background can add grace to any work table. The fine art work adds to the dazzle and beauty of this mesmerizing symbol of artistry. Using natural stones this pen stand adds a unique distinction that outshines products made of synthetic materials. Our skilled artisans have mastered the art of marble carving so each piece has it's own distinct character that is creative and unique. Approximate Diameter (Inches) : 1.5"
Approximate Height (Inches) : 3.5"